I bought this book a few months ago, recommended by people at the Kindleboards, and finally started reading it last week. The book deals with the work of Erle Stanley Gardner, and the fact that he was called “The World’s Bestselling Writer” on the cover made me curious, because I’d never heard of the man. The fact that I don’t read a lot of crime detective stories doesn’t help, neither does it help that these were stories and books that my grandparents enjoyed. The book itself was written in 1980, and I strongly suspect that the author lost the Bestselling Writer crown to one blond-haired female writer who writes, amongst other things, about a boy wizard. But we’ll leave that for statisticians to bicker over. Perry Mason, I’d heard of the stories about him, but also only as something the generation of my grandparents and parents enjoyed. What then, in this day of the internet and computers, can be learned from a writer who learned to write in seriousness almost 100 years ago, and whose writerly biography is so peppered with implied sexism (merely reflecting the day and age of course, but FFS, was there any purpose for women, in real life and fiction, other than to bring the tea or to be rescued?) that I almost gave up reading several times, were it not that the book is quite pricey for an ebook, and the people who recommended it are people I respect. Anyway. Putting aside the fact that women didn’t exist back then, the book goes on to reveal a most interesting lifestyle with meticulous detail to fact and study. Also with incredible work ethic and how he went about using the latest technology to achieve his incredible output. I didn’t learn anything major that I didn’t already know–watching people with this kind of inventory this make a killing on Amazon–but I found the book inspiring, because it illustrates so well how a dedicated work ethic pays off big time. Many writers wait around for the muse to strike, whittling away time while they could be writing something. Anything, really. Many writers revise endlessly, and quite possibly revise the death out a story. As I’ve come to realise, as a writer, you’re not selling stories. You’re selling your ability to produce more stories. A lot of people right now are talking about their predictions for 2015. At the Kindleboards, well-selling self-publishers are talking about the year to come. Lindsay Buroker does the same in her blog, and planning for the future and selling on non-Amazon platforms was a big part of the Marketing SFF podcast that I just recorded with Lindsay Buroker, Joseph Lallo and Jeffrey Poole. As we were talking about self-publising and marketing, something struck me about looking at the future in an author’s career: the most important thing you can do is to weatherproof your sales. Forgive me for being a little grumpy. You see, today I started a book that had been sitting in my TBR pile for a long time. I’d thoroughly enjoyed the previous book by this author and had been looking forward to reading the book. No, I’m not going to tell you who the author is because that is beside the point of this post. The book started in an interesting way, but then it all went south. You see, the author introduced a prophecy. Not just any prophecy, but one of the heavy-handed ZOMG the prophecy tells me I have to do this, so I do it type, no matter that the story itself didn’t support any reasons for the course of action. In fact, the prophecy was the only thing guiding all characters throughout the first third of the book. I don’t know what happened in the rest of the book. I’m not sure that I want to find out. Am I the only one who finds this type of handling of prophecies cliché, tiresome and naïve? Those are the type of stories we wrote when we just started writing and didn’t know any better. They’re not the type of books I expect from a mature writer. What is it about prophecies and fantasy? Prophecies can be handled in a number of different ways. At its most basic, there is the plot that takes a known prophecy at face value, without question of its authenticity or its predicting value. This type of dealing with prophecy is what I would call heavy-handed or naïve, because it takes all deciding power away from the character, and negates the need for the character’s actions to make sense. When “the prophecy said so” is the reason for something to happen, a flag should go up that you’ve entered this territory. Alternately, a prophecy could be considered “true” in the fantasy society, but the character affected by it could resist the implications. This becomes more interesting, because now we’ve entered a personal conflict into the mix. Apart from the fact that the character must do X or something terrible will happen, the character doesn’t believe that the prophecy has value. Or the other way around: the character believes the prophecy has value, but society doesn’t. The history of the prophecy and its reach. A lot of fantasy prophecies tend to be well-known in the affected society. They’re part of some older legend, which, magically, everyone in the country knows even though they’ve to invent the internet or similar means of communication. Or the prophecy could be not so well-known or only partially known–see Harry Potter. In this type of plot, a prophecy becomes part of the main plot device. Rather than handing the characters the prophecy at the start of the book, the characters must first discover the prophecy, then decide whether or not they’ll want to believe it, and then solve it. This type of plot becomes a mystery. The prophecy doesn’t drive the plot, discovering the prophecy does. Thus, the content of the prophecy becomes less important than the process of discovering it. Alternately, there could be a prophecy that is proven to be complete bunk in the progress of the plot. But there had better be something even better (a conspiracy, and even worse prophecy) hiding behind the wreckage, or you’ll have some dissatisfied readers. I don’t know what else you could do with prophecies. The prophecy as a plot device bores me to death. That said, I would love to write something that looks at prophecies from an unexpected angle, just to prove that you can breathe life into this tired plot device. This post applies to both slush reading and my foraging of self-published work. Many stories simply don’t hold my interest. I’m not talking about subject matter, especially in the case of self-published material, because I read the blurb, and that gives me an idea of what the story is about. It is that, given an interesting premise, the writer has proceeded to tell that story in a manner that is, frankly, boring. Note: no friends, from none of my social networks, were injured in this post. I recently downloaded a number of self-published works from the higher rankings of Amazon. And with all of these, I found the first few chapters written with insufficient storytelling skill to continue reading. I don’t mean writing at sentence level. I usually look at the sample, and weed out the works with clunky prose. I mean that the story structure did not enhance the plot. But! wails the self-published author, wait until you get to chapter 5. That’s where it becomes interesting. You know, buddy, I ain’t got till chapter 5. You have perhaps two or three chapters to convince me that I should spend time reading your book. So, if you have something interesting, show me your money sooner, rather than later. Make something happen, I don’t care what. or make me care about your character, or curious about some event. But for the love of the great teapot in the sky, don’t use your first, brief, action scene as a crutch to spew three chapters worth of flippin’ backstory. Just don’t, OK? Now I should perhaps rephrase this: the beginning of the story is boring. Because if the beginning is not interesting, a slush reader won’t read on. Really. A slush reader (or any reader) has no obligation to finish reading a story. As writer, your task is to make sure a reader finishes the story. Actually, I should rephrase that again: the beginnning of the story is boring to me. As you can see, I’ve just put a couple of caveats into the statement. What is boring to me may not be boring to others. The story starts with the character gazing reflectively out a window, or similar, and thinking about something that has happened or is about to happen. It is really hard to pull this off as an effective start to short fiction, even if your window looks out over a spaceport that is being blow apart in an interstellar war. The point is that the character is detached from the action and is not doing anything. Watching action does not equate taking part in it. The story starts with a scene (or even more than one scene) in which the character does everyday stuff. Sometimes, you feel a need to establish a character’s living situation before the inciting incident. If the living situation is interesting enough, you can sometimes get away with it, but usually it’s more interesting to start with the inciting incident. A slush reader is under no obligation to read the entire story. If something interesting happens halfway in the story, start the story with that. Don’t cheat and start the story with the interesting thing, and then backfill the next few scenes with the not-so-interesting, mundane stuff that was the original beginning of the story. You shall be found out. The mundane stuff is not interesting. You don’t need it. I remember a time, it now seems long ago, that I was writing a novel. This was to be my First Serious Novel, and all the people in the know, you know, the ones who had been in the writing workshop a year longer than me, said: you have to finish what you start. If you don’t finish it, you can never send it out. And that kinda made sense. So I slaved over that novel, re-wrote it goodness-knows-how-many times over about two years, always starting from the beginning, usually stalling somewhere at the mid-point. I wrote little else, until finally, after a lot of frustration, I had Finished it. Yay. Except it was much too long. And the plot was far too convoluted. And the story resolution was satisfactory for the main character, but not really for anyone else. And did I tell you it was a mess? That went without saying. It was my First Serious Novel after all. I didn’t see that, so I sent it out, as per All-Knowing Writing Gurus. I actually got some requests, but soon after, I started writing other novels, and short stories, and forgot about this novel for a while. Until, one day, I had an Idea. X, Y, and Z were wrong, and the functions performed by characters A, B and C could be served by a single personality, who would then have more word-space. I re-wrote the novel one last time. Fixed up the characters, tossed a bunch of alternate POVs, cut a number of plot lines, and effectively halved the word count. I knew what I was doing, because I know how I was going to do it. It took me two weeks. I was offered a contract, which I didn’t accept, but the novel is now with another publisher. The moral of this tale: I see so many writers struggling with plot-less first novels. The worst are the ones that have a seed of a good idea, and where the writer is being told this by others. 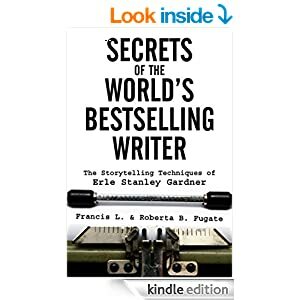 The writer will spend hour after hour on a story without really knowing how to fix it. 4. Stop wasting your time on projects that have stalled, or that somehow won’t work. 5. Did I say stop wasting your time? Was it Ray Bradbury? I can’t remember. If you can, help me out of my misery. In any case, he’s right. A short story is not a situation, not even an event. A short story is a change, a discovery, a revelation. What’s going to be revealed in your story? This is a story about a girl who can fly – is not a story. It’s a situation. Presumably early in the piece, we’re shown this girl can fly. And then? What happens then? The fact that she can fly needs to lead to something, needs to help solve a problem, or maybe the girl has a problem because she can fly. Alternatively: this is a story about a girl who finds out she can fly – is also a story. The girl will start off noticing some weird thing, and weirdness will get worse until the revelation at the end: Hey, I can fly! So – what about your stories? What elements are setting and situation, givens that are revealed close to the beginning of the story, and which elements are true plot bunnies, discoveries that will change the situation, that will change your characters’ lives?